Senwes Grainlink has a well-established infrastructure in both the summer and winter grain cultivation areas to its disposal. A wide variety of services are offered to producers and grain buyers which include the quick and effective intake and redistribution of grain, as well as food safety standards. Senwes Grainlink's high level of operational readiness offers added value to clients. New technology is constantly being applied and our equipment is well-maintained. Well-coordinated operational, logistic and administrative procedures ensure maximum effectiveness. 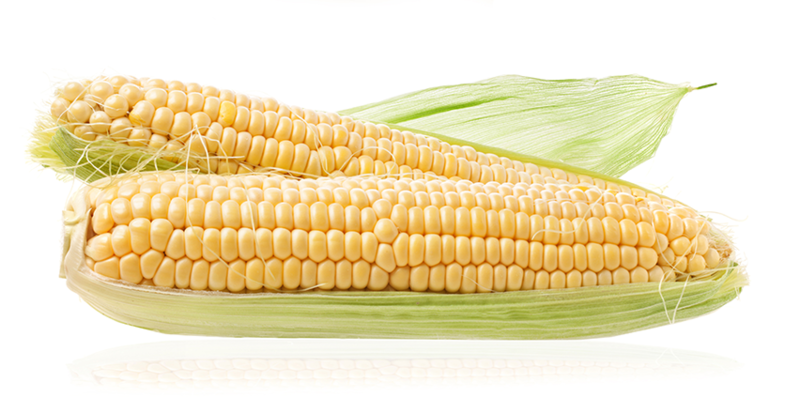 Grain Procurement is the producer's right hand with the marketing of his grain. Value is added through the continuous updating of effective marketing strategies. A variety of physical and pre-season grain contracts are available, specifically designed to service the producer's cash flow needs and at the same time keep seasonal trends in mind. As an established market leader in this field, it's Senwes Grainlink's objective to constantly improve. Keep an eye out for additional features and contract opportunities that will be launched in the near future. Senwes Grainlink beskik oor goed toegeruste fasiliteite waar graan teen ‘n hoe tempo ontvang, skoongemaak en versend kan word. 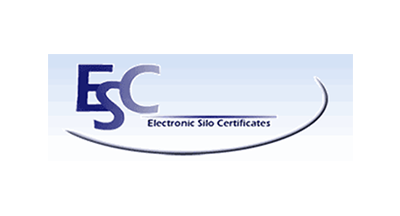 Electronic Silo Certificates (ESC) is an efficient, secure electronic silo certificate management system. Once an electronic certificate is issued, it is automatically and instantly written into an industry wide on-line register, from which owners can manage their individual certificates via the internet or telephonically. Only electronic SAFEX and silo certificates will be issued and clients can register free at www.silocerts.co.za. The electronic system can be used with complete peace of mind as its management and confidentiality can be guaranteed. Each individual certificate can only be accessed and controlled by its owner. A teletrade service is available for clients who do not have access to the internet. No more waiting for the postal car or the mail. Silo and SAFEX certificates can also be transferred after hours by using the internet. More information about ESC is available on the internet at www.silocerts.co.za. Alternatively an email can be sent to support@silocerts.co.za or you can phone 011 797 5591. No organisation can function successfully without effective backup. Grainlink has a complete administrative support function, able to serve clients fast and effectively. The most important services include producer pay outs, buyer financing, contract administration, silo certificates and marketing administration. When the need for financing arises when grain is bought from Senwes Grainlink, financing options may be considered. Consideration hereof will be measured using the same criteria as that of a commercial bank. As prescribed by law, a complete set of FICA documents is required in order to facilitate the purchase of grain. This information is used to create a buyers code against which stock and storing costs will be invoiced. All grain purchases should be settled within 48 hours of the transaction being made. A complete administrative support function is available to clients at no cost. This service includes information regarding stock receipt, orders, tracing and balances. Normal administrative rates are applicable in cases where Senwes facilitates a transaction. This service includes information regarding stock receipt, orders, tracing and balances. This department handles all payments regarding grain purchases to producers and third parties. The administration of handling and storing accounts are also handled in this department. 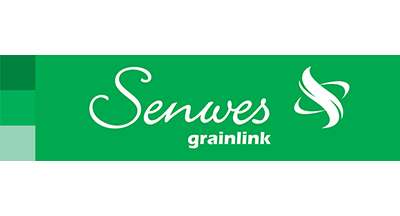 The establishment of Basislink was due to Senwes' decision to buy certain grain types for the total market and not only for Senwes Grain Marketing as in the past. Previously all grain within the Senwes production area was bought for the Senwes Grain Marketing division. 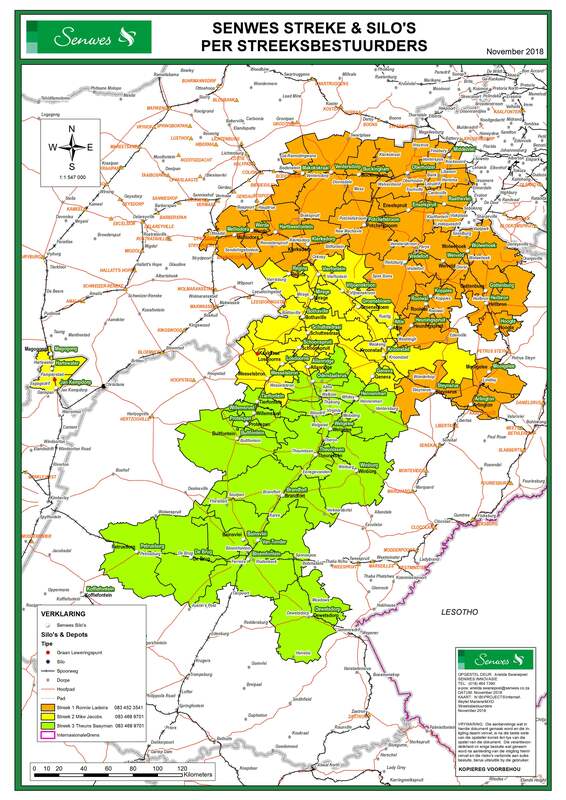 However, this division has been substituted with Tradevantage in the meantime, which deals with the marketing of white and yellow maize as well as oilseeds. Buyers have to register on MySenwes for a buyer number in order to obtain access to the system. After completion of the registration process, they can obtain access to the silo where they wish to buy their grain via the internet at their own time. All Basislink users will therefore be able to see the prices at which other buyers in the market are willing to buy grain without knowing the identity of the buyer. It will therefore enable buyers to increase or decrease their premiums, depending on the demand for grain at the specific silo. Basislink will also enable producers to offer their grain to the total market on a transparent platform by contacting the grain procurers in their areas. Grain procurers also have access to the system and are able to offer the client's grain on his behalf on the system at any time between 09:00 and 12:00, which facilitates marketing decisions. With the exception of the current market premium, the tonnage as well as the month of delivery can also be made available to users by procurers. Senwes has well equipped seed processing structures where production often takes place 24 hours a day. Well coordinated operational, logistical and administrative work methods provide maximum efficiency. These structures are situated at Orkney and Hartswater, where amongst other wheat, maize, sunflower, sorghum, tef, eragostes, oats, rye and barley are processed. Orkney Seed is a member of SANSOR and functions according to the guidelines of the plant improvement law and ISTA (International Seed Testing Association). Senwes Graanmakelaars (Pty) Limited (SGB) is a company which acts as a broking agent for clients wishing to obtain access to the JSE (SAFEX) agricultural commodities division. SGB is a wholly owned subsidiary of the larger Senwes group and resides within Senwes Grainlink in the market access division. This places SGB in an ideal position to increase synergy within market access by providing an opportunity to producers, consumers and speculators to hedge or take part in potential market opportunities. SGB also plays a supporting role along with market access analytical services to compile market information reports on a daily basis. The reports are free of charge and are available on the Senwes website as well as through a MySenwes subscription, which will ensure that reports are received on a daily basis.